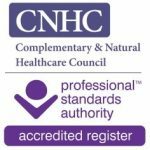 Food Intolerance - Welcome to NatPath clinic | We are a Holistic and Digestive Health clinic based in Ealing Broadway, West London. 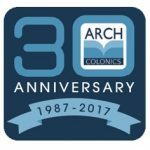 Many people think food intolerances and food allergies are the same, in fact, they are very different. 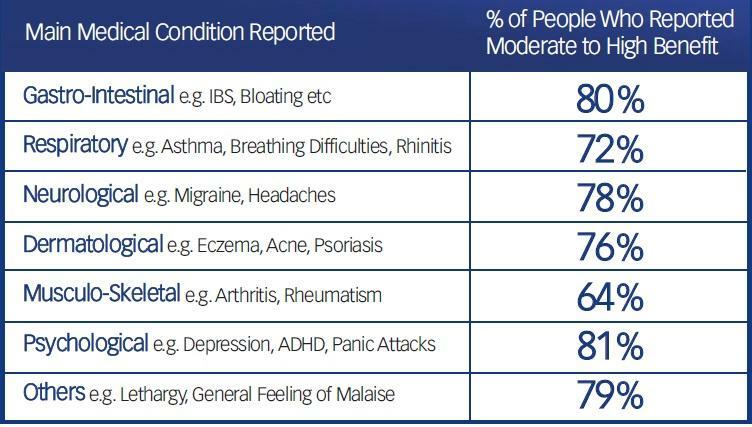 Food Allergies only affect 2% of the population and they have a severe and an immediate ‘reaction’ to the body. Think about a peanut allergy that causes swelling of the face, lips, throat, and tongue. 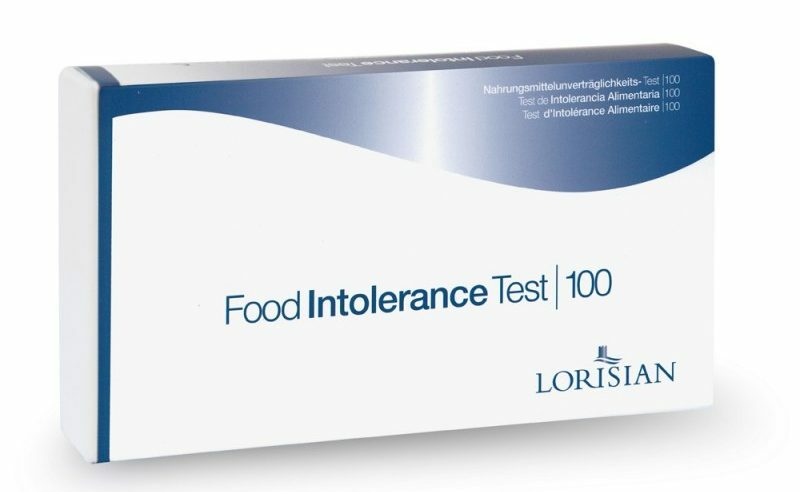 Food intolerance, also known as food hypersensitivity or non-allergic food hypersensitivity, refers to difficulty in digesting certain foods. Food Intolerance “reactions” can take up to 72 hours before you even notice symptoms, which makes them difficult to identify. They affect 45% of the population and are often the cause of huge digestive flare-ups, as well as mood swings, skin issues, and even chronic fatigue! 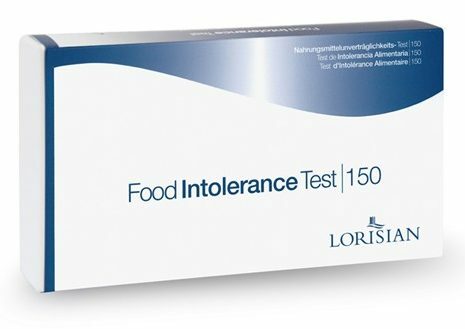 Food Intolerance test can help identify and eliminate these food triggers once and for all. It is a simple finger prick test and the results will be provided within 10 days followed by a 1-hour consultation. 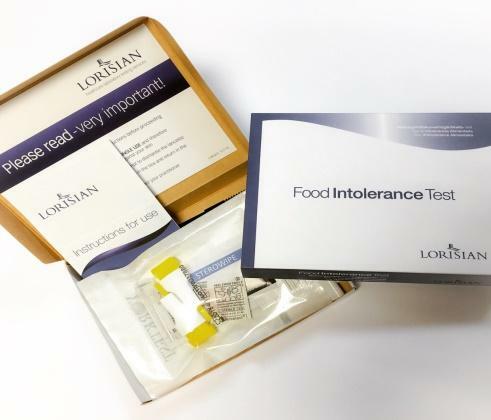 Book your food intolerance test now! Click here to read the list of foods for this kit. 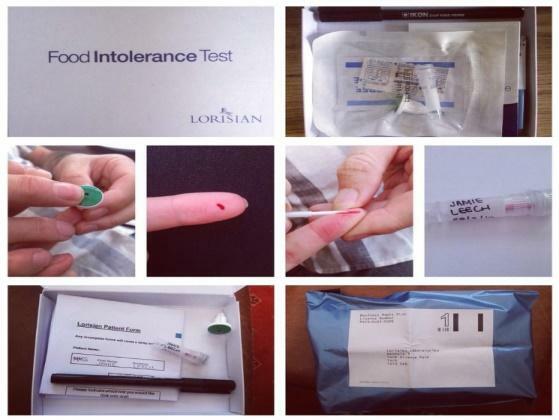 It is a simple finger prick test that can be done either at the clinic or at the comfort of your home. 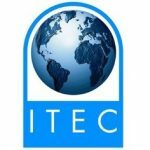 Once the payment has been made the will be send to you by post, fee of charge. All the information is included in the kit as shown below. 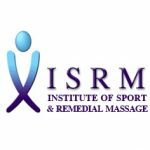 Once the test has been posted the results will be provided within 10 days followed by a 1 hour consultation.